Mallorca is probably the most beautiful and well-known island in the Mediterranean. The 3,640 km2 are an explosion of colour, where the green of the mountains intersperses with the turquoise blue waters. In addition, it has a lot to offer. This makes it the island with the greatest variety of landscapes and culture of the Balearic archipelago, so it can be visited at any time of the year. In Insotel Hotel Group we also have many plans to offer for you and your family, all this will make your family holidays in the Isla Mayor totally complete. This 2019 our Insotel Cala Mandía Resort & Spa is full of news where children will be the protagonists. In this article we will tell you all about the new services that children at Insotel can enjoy. Children from 2 to 10 years old will be the ones who will most enjoy Insi Indoor Splash, an interior space that has a wide variety of interactive water games. This game are can be enjoyed at any time of the year, since even during the low season the whole area is always at the right temperature. Also, its gorgeous jungle decor will make them feel like Indiana Jones for a day. A place where the whole family will have a great time, has several unguarded areas with different activities for the enjoyment of each member, for example, two zones for children from 0 to 6 and from 0 to 3, where they can play with their parents, or a reading area. Baby Club: 2 – 3 years. Mini Club: 4 – 6 years. Maxi Club: 7 – 12 years. Teenager Club: 13 – 16 years, only in high season. The teenagers will also have their place in Insotel. Now we have a wide area of games of last generation like simulators, recreational machines or multigame tables. The greatest technological innovation will be at your fingertips! It is a space dedicated to those families that are sports lovers. In this bar the best sporting events will be broadcast while you can have your favourite drink. In Insotel you will not miss the match of your favourite team. As you may have seen, Mallorca is a paradise where any type of activity is available to everyone, but Insotel as well. 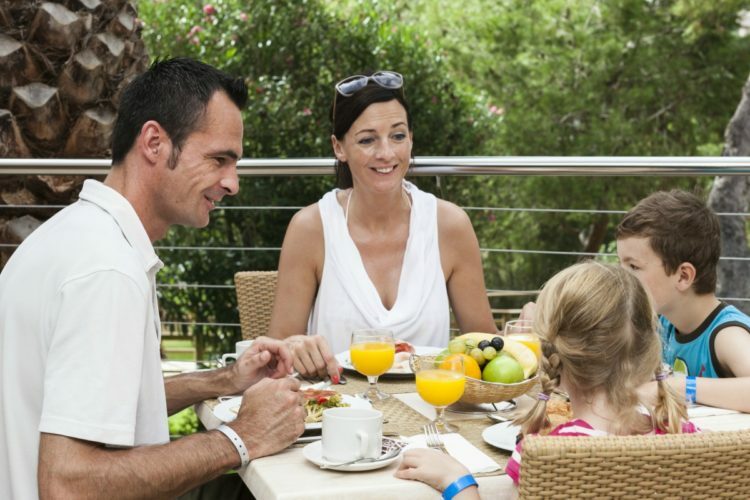 In Cala Mandía we have the best spa offers in Mallorca for the enjoyment of all families. Don’t hesitate to visit our website or contact us to resolve any questions without commitment. The best family vacations are at Insotel Hotel Group.